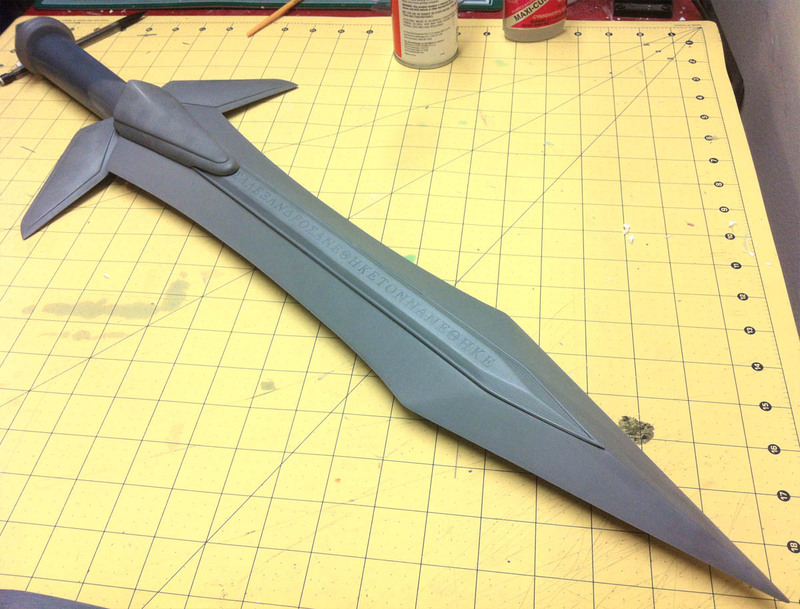 Complete your Sophitia cosplay or weapon display with your own Omega Sword! This is an 8-piece kit made from Smooth Cast 320 urethane resin. One kit contains the blade and handle, pommel, 2x cross guards, 2x hilt wings, and 2x ornamental lettering strips for the sides of the blade. All parts are solid resin and quite robust. Kit does not include leather handle wrap. 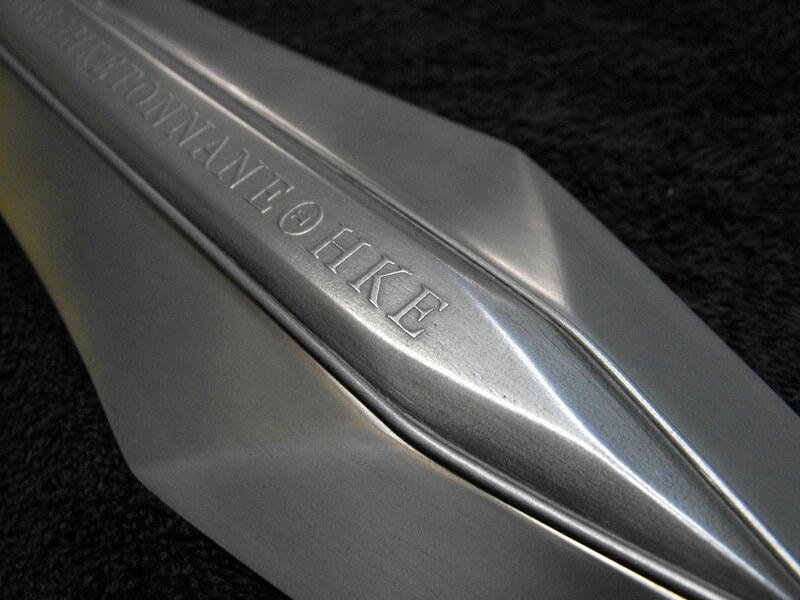 Finished blade measures approximately 28″ long and 8.75″ wide. 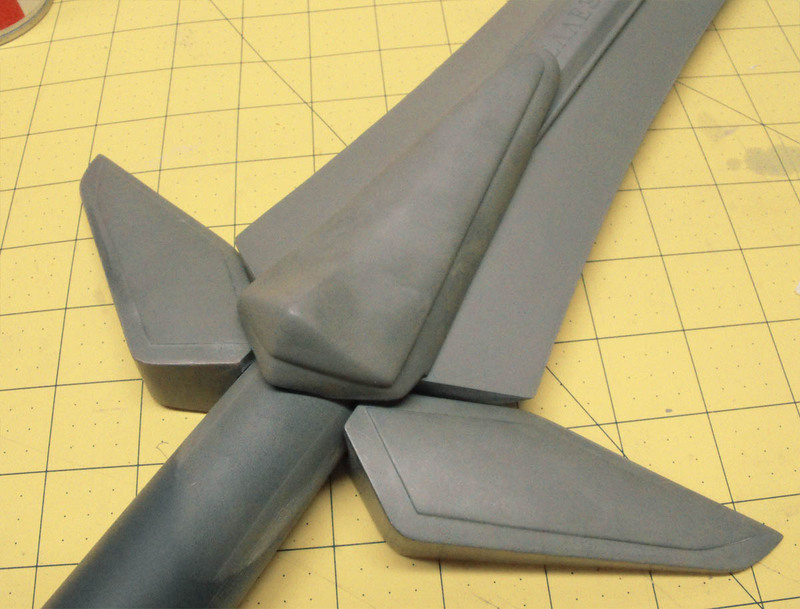 Parts will come tinted gray and cold cast with aluminum powder. This will allow them to be polished as in the images below, but pieces will arrive as flat gray – all polishing and buffing will need to be done prior to assembly and paint. 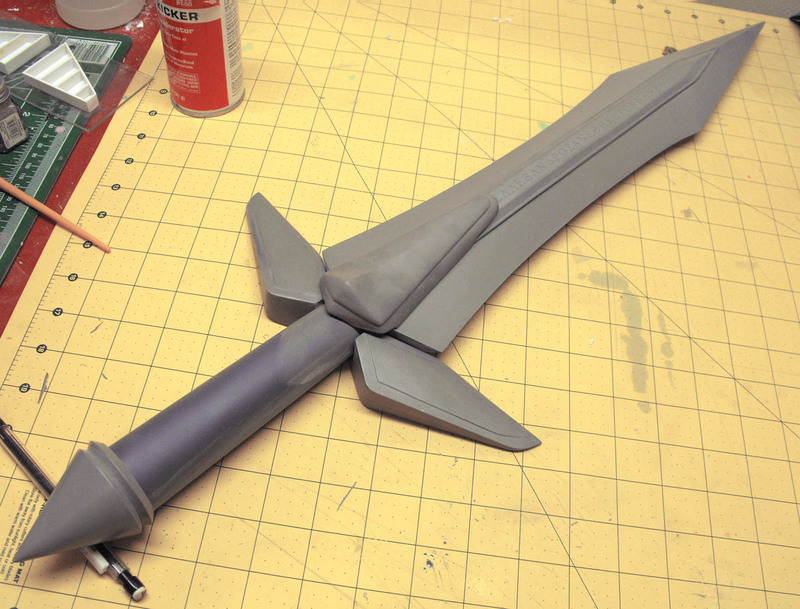 Click here for the Sophitia’s Sword design and build log.